Microsoft is diving headlong into the competitive gaming world, announcing a new Xbox Live Tournament Platform. The Redmond company announced the new platform has been built as a new part of the Universal Windows Platform SDK. It short, the platform will allow developers to easily set up tournaments on the Xbox One, and hopefully in the future, Window 10 PCs. Furthermore, Microsoft announced it is working with tournament large organizers including the ESL and FaceIt. The end result for Xbox One gamers at home is they will have more multiplayer experiences for those who want to play competitively. 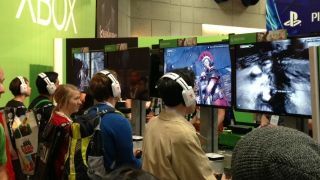 In an interview with techradar, Chad Gibson, Group Program Manager, Xbox Live also suggested tournament play could even be potentially extended to single player games. Solo experience could also become heated competitions in a race to get the best score a la the old leaderboards seen on Xbox 360 games like Geometry Wars. "We don't think it's just limited to multiplayer games or any game where there's any form of competition or score comparison," Gibson said. Gibson hopes that every game with competitive multiplayer will have tournament support eventually. Ultimately, though, the platform is completely voluntary and developers can decide whether to adopt it. Microsoft was not ready to divulge which developers and games have adopted its new tournament platform, but it claims to be working with key companies in the industry. So, it might be some time before we see Microsoft-powered tournaments come into play on the Xbox One.